It's unclear if this Cirujano was the one unmasked by Aventurero three years ago. 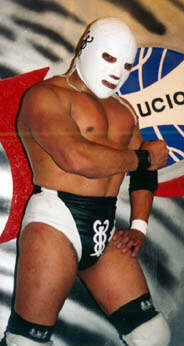 A Cirujano with the very same mask pictured above appeared in the cage match in the Gimnasio Olimpico Juan de la Barrera last December 18, saving his incognita. Since Coco Verde, already unmasked in 2009, was forced to remove the mask during the fight and Cirujano not, he may be a new one or he wasn't the one unmasked by Aventurero at all. This page was last edited on 19 March 2015, at 13:57.